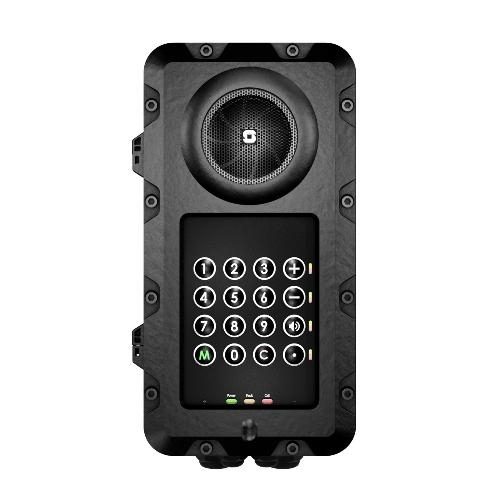 The TFIX-1 Explosion-proof intercom station is a rugged device, designed for harsh environments and meets industrial and offshore requirements as well as requirements for ATEX Zone 1 operation. The plastic housing is designed to withstand most chemical and environmental hazards found on- or offshore. The TFIX-1 features a full keypad with 1 programmable button and keys for manual override (PTT) and Cancel.